I happened to be looking down while I was walking down Via Leonina on my last afternoon in Rome in 2013, and saw these bronze cobblestones. I think I was somewhere between Piazza degli Zingari and Via dei Serpente but I forgot to write down the address. 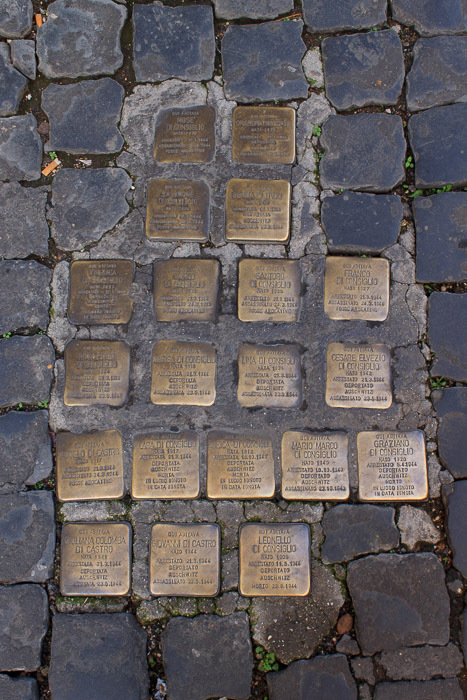 The bricks were made and laid down during 2010 and 2011 in Rome by their artist, Gunter Demnig, and they commemorate Jews who died in the Holocaust. They're 4-inches square, laid flush with the sidewalk and each replace one block of the sidewalk, usually in front of the last known residence of the victim. They are apparently at many places in the city, but I only saw this one set. 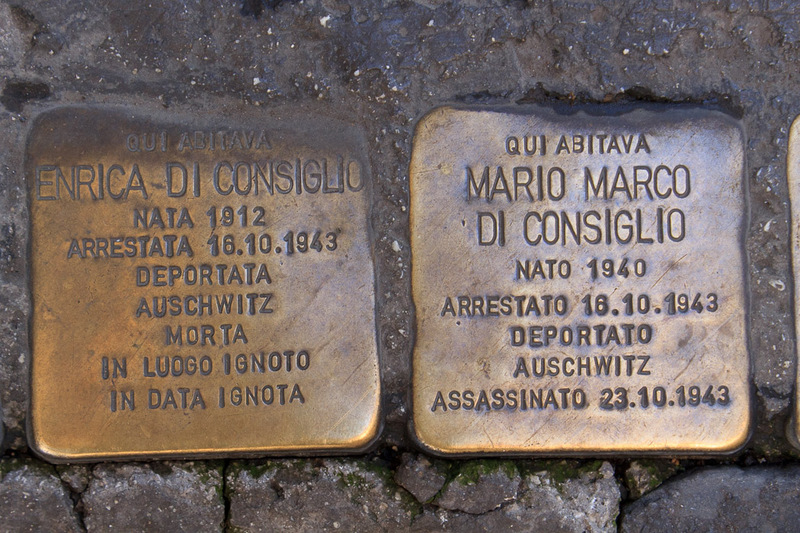 Each block begins with QUI ABITAVA, which means "Here lived", followed by a name, a birth date (NATA), an arrest date and sometimes a reason, where he/she was deported to, and a date of death. Over 40,000 of these have been laid down by the artist in 10 countries in Europe and Russia. They are quite sobering. See all Holocaust Bricks photos.